The fields of experimental archaeology and primitive technology offer tremendous opportunities to interpret artifacts beyond what is possible in laboratory settings. The answers ranged from the typical college response, “It was good” to somewhat more thoughtful responses such as, “I really liked the exhibit the focused on ….” or “it was amazing what our government has done to make our diets more healthy.” I was speechless. We just left possibly one of the most politically charged and propaganda filled exhibits I had ever seen and the students did not even realize it. Instead, they took everything they saw at face value effectively shutting their brains down leaving only enough gray matter left to consider whether or not they liked an exhibit or whether or not it was interesting. What was going on here? We are exposed to and learn about our past in a variety of ways. The social, political, and economic factors influencing how interpretations are made, and the context within which we are exposed to them, all influence how we perceive history. The typical antiquarian museum that has persisted for centuries is no longer the only model for the delivery of these interpretations. There are now many virtual “time machines” such as experimental archaeology, open air museums, re-enactments, and gatherings that allow us to gain access to our past in a variety of ways. 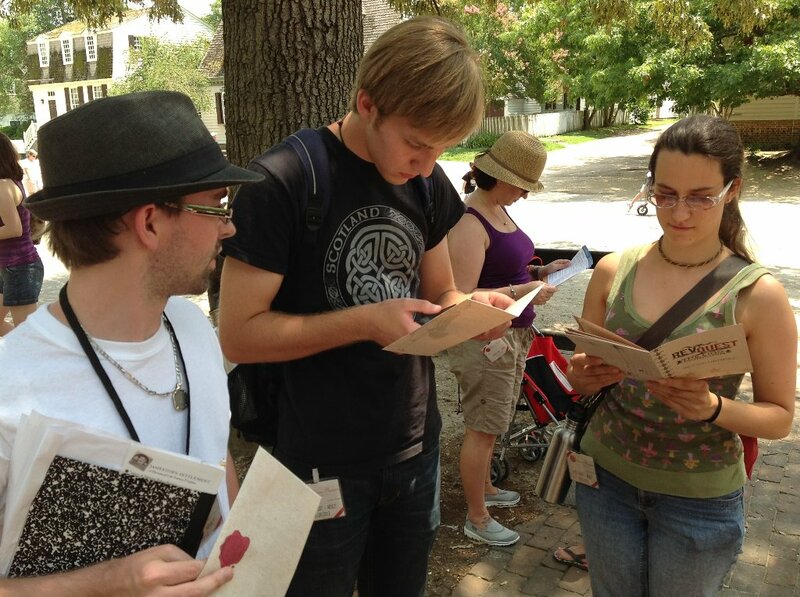 During this course students will be immersed in the various ways the past is interpreted to the public through site visits, behind-the-scene tours, lectures, discussions, readings, and reflection. The course spanned a three-week period. The first half was based out of Washington College located in Chestertown, Maryland and the second half was based out of the open-air museum, Land of Legends, Lejre in Denmark. The course was designed, as much as possible given our limited time, to bring the students through the entire interpretive process from archaeological discovery to public interpretation in order for them to witness, first-hand, all of the opportunities for bias to influence the ultimate interpretation. In order to introduce students to the basics of archaeological fieldwork we visited the Pig Point archaeology site. This site is one of the most significant sites discovered in Maryland in decades. Here students had the opportunity to engage in archaeological field research and really see where the basis for prehistoric interpretation comes from. Students spent the entire day excavating in block excavations, screening, water screening, and filling out paperwork. It was important for students to understand that the practice of archaeology is simultaneously scientific and prone to bias and human error. Furthermore, this was a fantastic opportunity for students to engage in conversations and debates on ethics in archaeology since just days before our arrival the archaeologists at the site discovered prehistoric human remains. Obviously, the recovery of artifacts is only the first step in obtaining information about the past from objects. In order to expose students to the analysis step in past interpretation we visited the Winterthur Museum and Objects Conservation Lab where the students were offered a behind the scenes tour of the many labs the facility houses. They were introduced to the Object and Metals lab by Objects Conservator and Adjunct Assistant Professor, Bruno Puliot; the Scientific Research and Analysis Laboratory by Associate Scientist and Adjunct Assistant Professor, Catherine Matsen; and the Ceramics and Glass Study by the Curator of Ceramics and Glass, Leslie Grigsby. They then engaged in in-depth discussions about the analysis that is conducted here and debated the differences between conservation and restoration and the ethical considerations these researchers face. 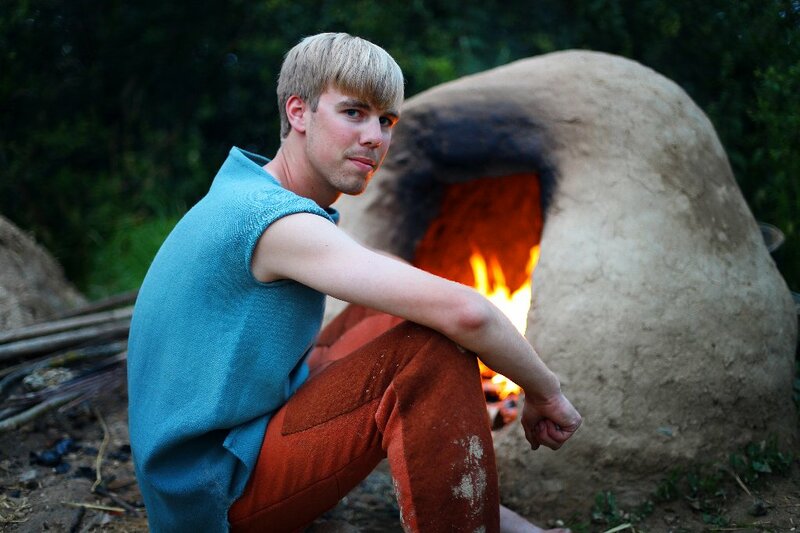 The fields of experimental archaeology and primitive technology offer tremendous opportunities to interpret artifacts beyond what is possible in laboratory settings. 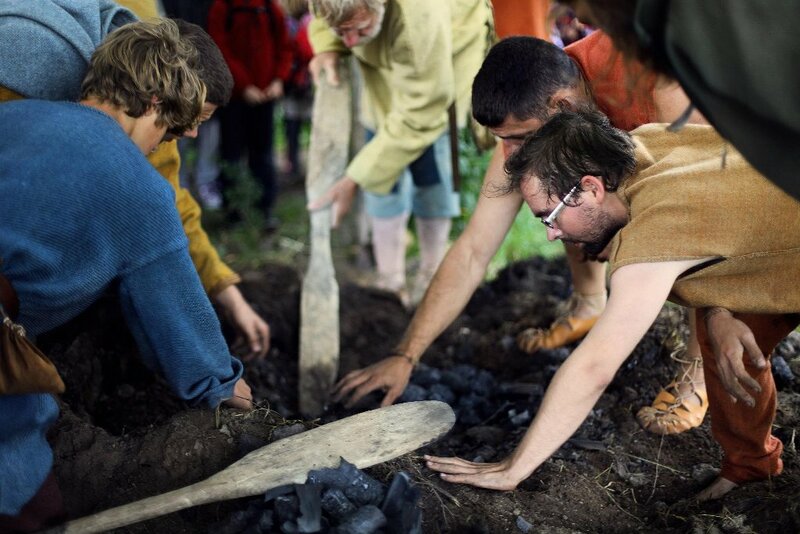 Students had the opportunity to immerse themselves in the primitive technology world by participating in the Athra Gathering at Land of Legends, Lejre. 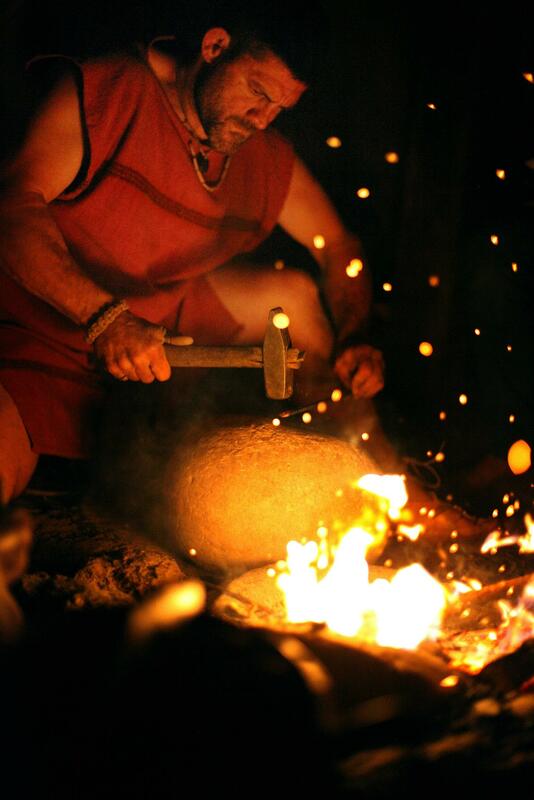 The Athra Gathering is a week-long immersive experience for Stone Age technology experts and re-enactors. At this international symposium experts meet, network, experiment, perform, discuss, share experiences and knowledge, enhancing own and others’ skills. This year’s Scandinavian theme brought primitive technologists from Greenland, Norway, Sweden, and Denmark. In addition to being a part of the gathering, the students also spent the off-hours with the group sharing meals, cooking responsibilities, stories, and knowledge. This experience included learning from the various primitive technologists through hands on learning, demonstration, and presentations/lectures. 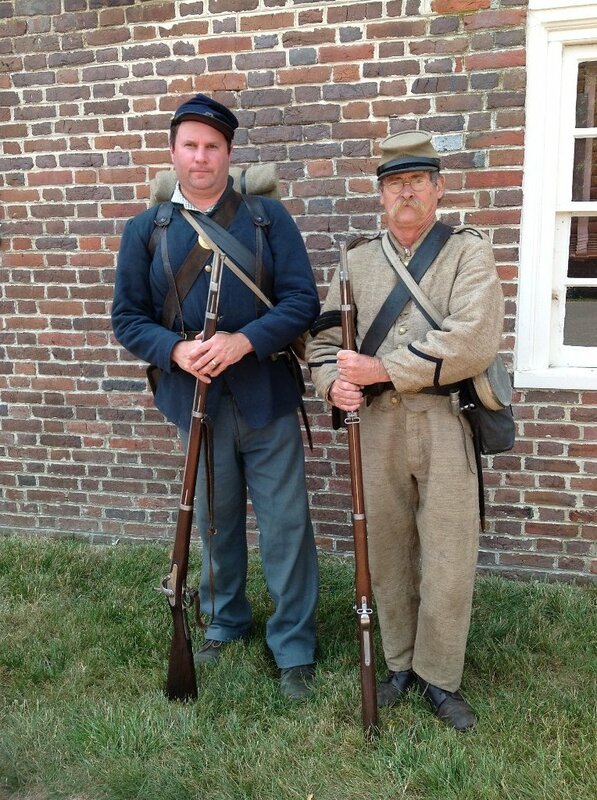 Re-enactors are a diverse group that interpret the past to the public in a number of different ways. To expose students to this population we hosted a series of on-campus presentations. Civil War Re-enactors John Wyman and John Wagner, in full gear, visited the students and talked to the students about the many factors that influence how re-enactors get to interpret their views of the past to the public. Topics they addressed ranged from differing levels of authenticity to recent instances where issues of gender and disabilities have surfaced in the re-enacting world. Later, Reverend Keith Less, a.k.a. Philipp Hartrat, gave a presentation about how the Society for Creative Anachronism views their role as educators and interpreters of the past. I was hoping to also bring the students to a Renaissance Festival but, unfortunately, none were available near the college during the time the course was running. 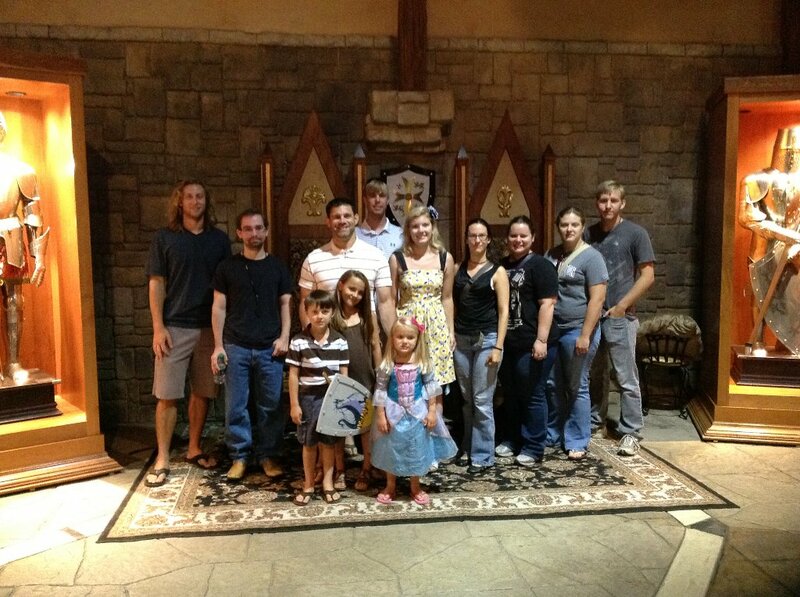 So, we settled for a trip to Medieval Times to experience what they advertised as their Educational Day. This turned out to be a great opportunity to observe a highly commercialized attempt at educating the public. The next step was to illustrate how so many outside factors can influence how displays are created at different types of ‘traditional’ museums. We traveled to the Smithsonian where we had guided tours at both the Smithsonian Museum of the American Indian and the Smithsonian Museum of Natural History. At the museum of the American Indian the students were given a tour by historian, Gabbie Tayac, herself a Piscataway American Indian. During her tour she spoke at length about how issues of politics, financial considerations, and issues of power all influence what collections the museums are displayed, how they were displayed and what was not displayed. Students ate lunch at the in-house award-winning Mitsiam Café where the menu is inspired by American Indian foodways. During this meal they had the opportunity to see how even the interpretation of foodways even at one of the nation’s prominent museum is heavily influenced by modern food laws, Western notions of palatability, and a host of other considerations. In the afternoon the students walked across the National Mall where they encountered different perspectives on both how the past is interpreted and factors influencing how the story of the past is presented to the public. After touring the Smithsonian Museum of Natural History the students were welcomed in to the office of Dr. Dennis Stanford. Dr. Stanford and Mike Frank spent hours with the students discussing the Solutrean Hypothesis, how the first inhabitants of the New World may have traveled across the Atlantic, and showing artifacts that support this hypothesis. It was powerful to visit both of these museums located on the National Mall and see completely different perspectives on how the past should be interpreted to the public in the same day. Open-air museums offer opportunities for public interpretation beyond what is possible in more traditional museums. However, they also face unique challenges that were crucial for the students to observe first hand. Students were introduced to open-air museums through a series of lectures delivered by Dr. Roeland Paardekooper. The students also had the opportunity to experience a number of open-air museums in both the United States and Denmark. In Virginia, students toured Yorktown, Jamestown, and Colonial Williamsburg. At Yorktown, the students spent several hours investigating various interactive indoor and outdoor exhibits which included reconstructions and living history actors. At Jamestown they were taken on a guided tour of the archaeology of Jamestown by tour guide, Mark Summers. The afternoon was spent investigating the living history exhibits that filled the open-air museum depicting both the lives of the newly arrived European explorers and that of the Native Americans they came in contact with. After touring through Colonial Williamsburg they listened a two-hour presentation by Ken Schwarz, master of the shop at the Revolutionary War Amoury in Colonial Williamsburg where he focused on how issues of safety, accuracy and even gender influence how he and his crew interpret the past. Some students decided to spend the afternoon engaged in an interactive game, The Lion and the Unicorn, that utilized both re-enactors and text-based cell phone technology to engage children and engage them in learning about history. In Denmark, our home base was the premier open-air museum Land of Legends, Lejre. Here the students had the opportunity to see how this particular open-air museum interprets stone-age life, iron-age life, Viking-age life and historic life to the public. 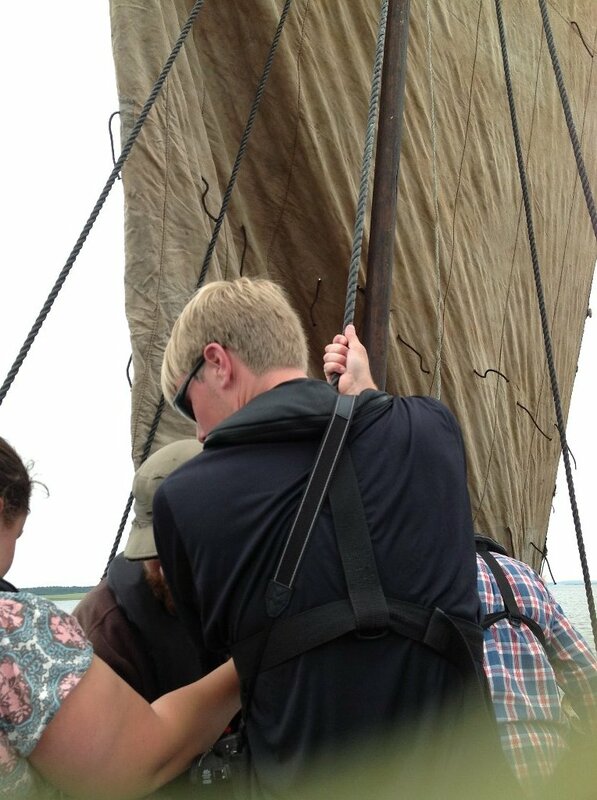 The students also visited the Viking Ship Museum in Roskilde. In addition to touring the indoor museum exhibits and the open-air portion of the museum the students made rope with miniature rope-walk and sailed one of the reproduced Viking ships in the fjord. 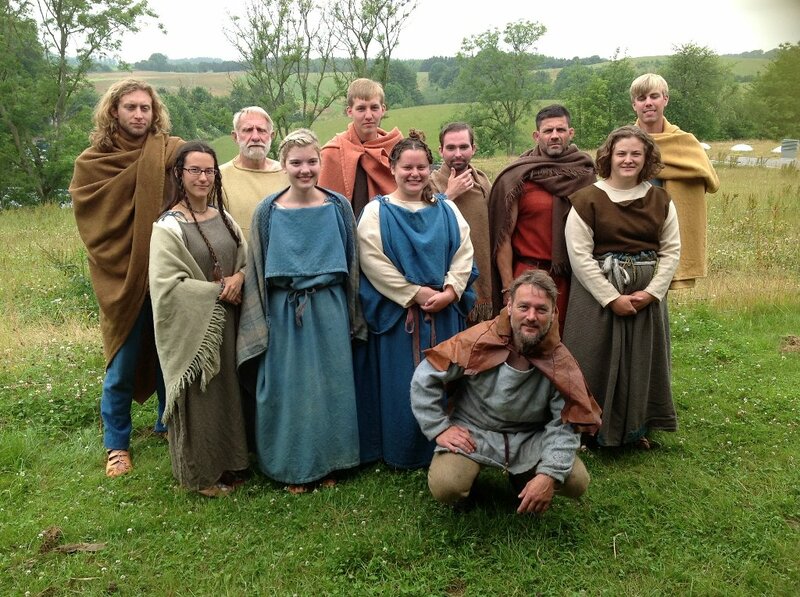 In order to bring their experience full circle the students, who just completed almost two and a half weeks learning about how the past is interpreted to the public, donned Iron Age clothes and moved into Lethra, the Iron Age Village at Sagnlandet, Lejre to ‘live Iron Age Life’ and become interpreters themselves through their daily interactions with the public. During these four days the students used only period correct tools, prepared and ate only period correct food, and slept in period correct houses. Guided by the in-house blacksmith, Kim, the students also had the unique opportunity to make charcoal, construct a bloomery kiln and transform bog Iron into iron. 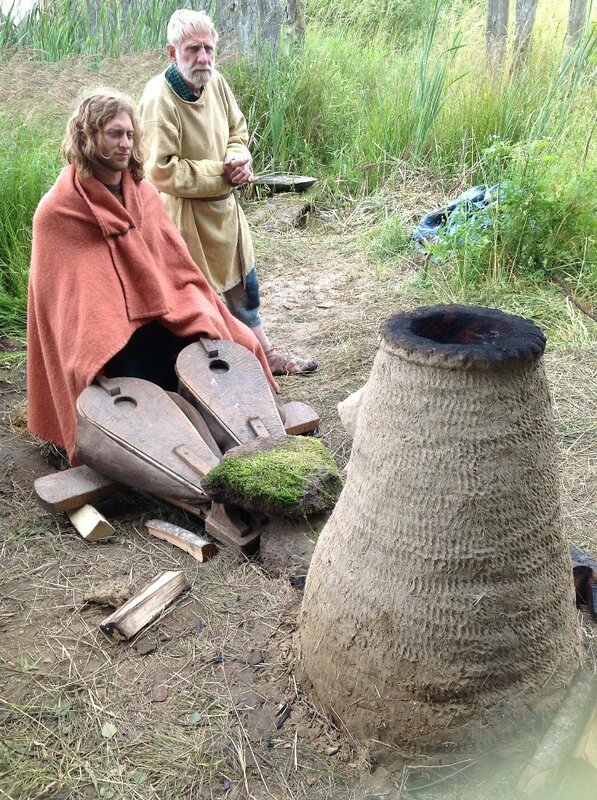 Finally, with access to the Iron Age Smithy students were able to produce their own knives, nails and pins. I want to thank a number of people and organizations who make this experience possible. Washington College allowed me to follow my own unique path the crazy idea for this class led. Roeland Paardekooper was invaluable in every step of the planning process for the time we were in Denmark. Lars Holten and Laurent Mazet patiently answered each of my persistent emails and found a way to make sure my students did not just observe but instead were a true part of their experience with the Athra gathering and in Lethra. Finally, I want to thank of the archaeologists, primitive technologists, experimental archaeologists, scientists, re-enactors, interpreters, and docents who shared their passion for learning about the past and dedication to interpreting to the public with us. Thank you all!